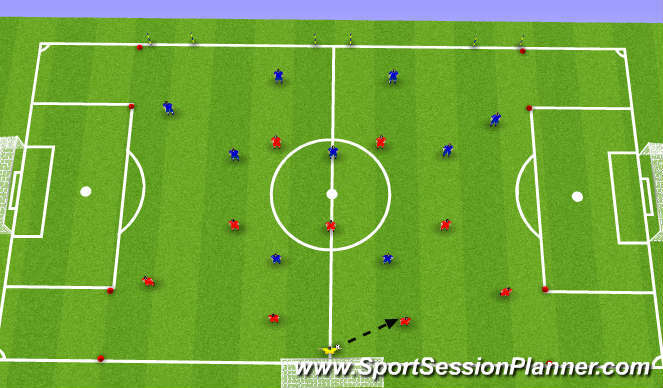 Football/Soccer Session (Moderate): 10 v 9 Game, Emphasis on switching play to score. 10 v 9 Game. To encourage switching the play. Reds gk starts with ball and plays out to defence to get game going. has to be a pass through. switch play enabling them to change the point of attack to score. If blues win ball back they can counter attack the reds by scoring in there main goal to punish them!